The following Cambria Press publications have received outstanding reviews not only from top academic journals but also scholars and practitioners. Select quotes and excerpts from the book reviews are provided below. These publications will be on display at the Cambria Press booth at the American Political Science (APSA) annual meeting next week . These books will be on display at the Cambria Press booth at the 2015 American Political Science Association (APSA) annual meeting in San Francisco next week. 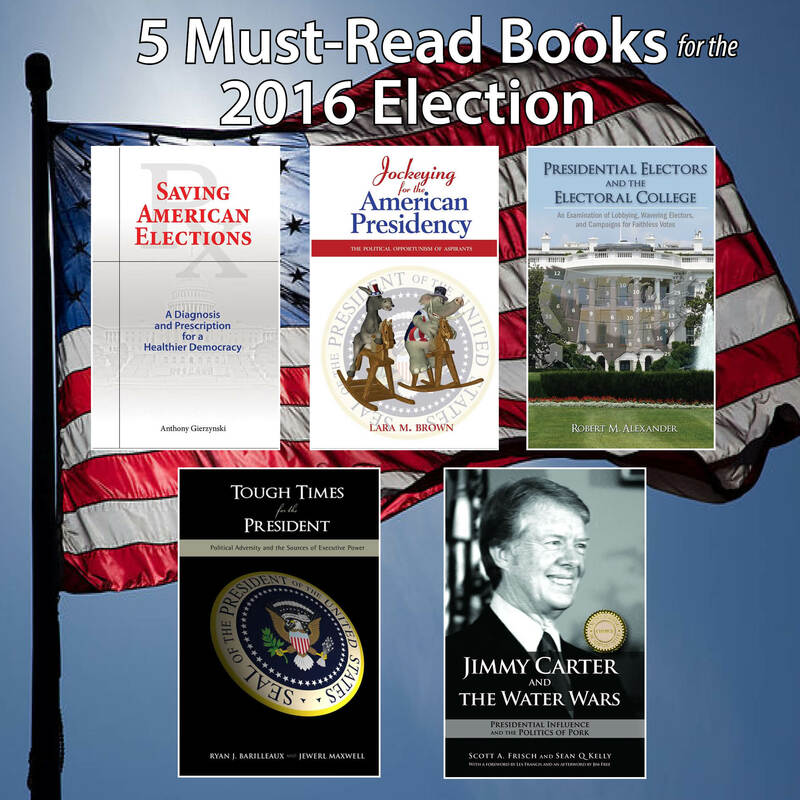 Use coupon code APSA2015 by October 13 (the date of the first Democratic debate) to get 30%off all hardcover titles + free shipping. For a summary of books and reviews in the PIPPA series, see this from Cambria Press. 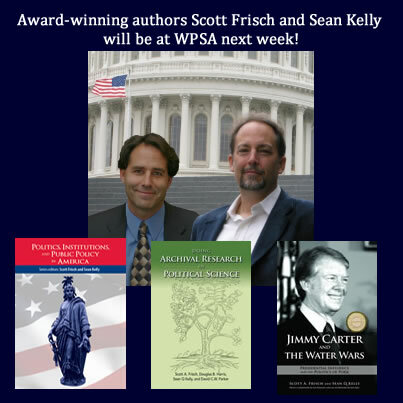 Award-winning authors Scott A. Frisch and Sean Q. Kelly will be WPSA next week! Scott A. Frisch and Sean Q. Kelly are not only coauthors of the award-winning Jimmy Carter and the Water Wars, they are also the editors of the Politics, Institutions, and Public Policy in America book series. These titles will be at the Cambria Press display in the WPSA exhibit hall. Visit the display to browse these great books and don’t forget to pick up an order form with a 40% discount for you and your library. See the Cambria Press ad in the WPSA program too for the discount code! Cambria Press will also giving out a limited supply of complimentary Political-Science Research Matters bags, which were made specially in response to the NSF funding cuts. Pick one up at the Cambria Press display and carry it around at (and after) the conference to drive home the message that political-science research matters! STAY POSTED on Cambria Press! LIKE Cambria Press on Facebook, follow Cambria Press on Twitter, and share this news from Cambria Press on Google+! Tough Times for the President! 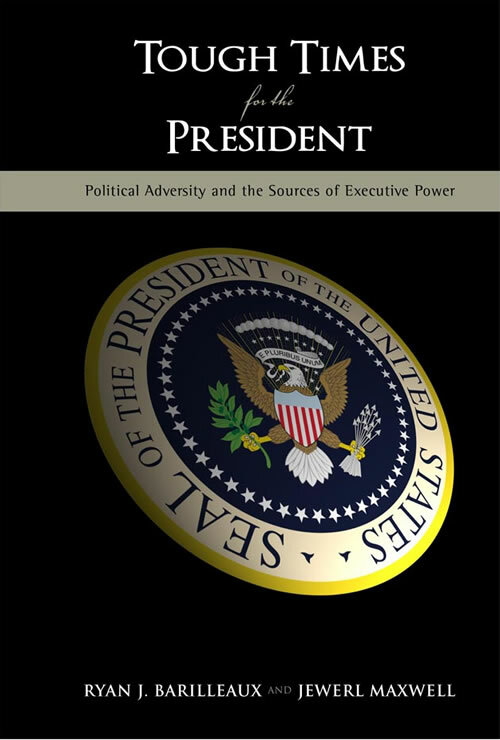 Cambria Press is proud to announce that Tough Times for the President: Political Adversity and the Sources of Executive Power by Ryan J. Barilleaux and Jewerl Maxwell is now available. Needless to say, the title sums up what is in store for President Barack Obama. This book is in the Politics, Institutions, and Public Policy in America book series (Series editors: Scott Frisch and Sean Kelly). The following is a transcript for the Q&A session Professor Maxwell kindly provided for Cambria Press. Stay tuned for another discussion by the authors on their take on how President Obama can navigate these tough times! RESPONSE: We decided to write Tough Times for the President because of a discussion in a graduate seminar on the presidency conducted by Dr. Barilleaux. As the class examined Richard Neustadt’s persuasive paradigm during a period in President George W. Bush’s presidency when adversity had struck, we recognized that many (and perhaps most) presidents face significantly adverse circumstances at some point in their presidency. 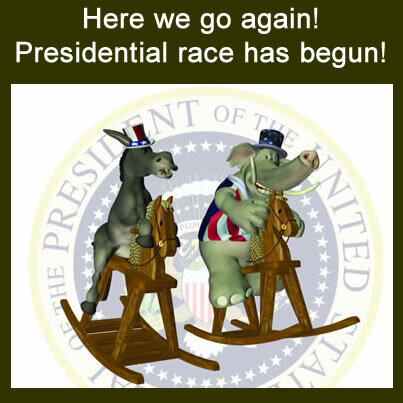 Upon further examination, we began to take note of a pattern that while these adverse circumstances result in considerable obstacles for presidential leadership, they do not cripple the president. On the contrary, we were able to point to several individual presidents who overcame their adverse circumstances. Consequently, we chose to embark on a research project that would identify the most adverse circumstances modern presidents have faced and how they responded to such periods of adversity. What strategies were successful in overcoming such circumstances? What powers remained central to presidential leadership during these “tough times?” This initial research agenda resulted in a conference paper that we authored with Marc Bacarach that examined periods of adversity within the presidencies of Harry Truman, Gerald Ford, and Ronald Reagan. As we suspected, while each president faced significantly difficult circumstances, none of the cases indicated paralysis within the Oval Office. We concluded that while adversity makes it more difficult for presidents to succeed in certain areas (most notably in the legislative arena), presidents often exhibit success through unilateral actions or through foreign policy initiatives. At the conference, colleagues encouraged us to continue to pursue this research agenda. In addition to the positive response we received from other presidency scholars, we further witnessed the adversity faced by President George W. Bush, and eventually President Obama. As we continued to dig deeper, we soon realized that with the exception of John F. Kennedy, at some point while serving in the White House, every president since World War II faced a period we call “tough times.” Therefore, we determined to identify the critical lessons that students of the presidency can learn from presidential adversity. RESPONSE: Presidents may be limited in periods of adversity, but these circumstances do not result in periods of paralysis. While Neustadt’s emphasis on persuasive powers may be useful for chief executives in certain situations, we believe leverage is the key to understanding presidential power. We recognize, while promising circumstances like landslide elections, high public approval ratings, and unified government will likely enhance a president’s influence in Washington, D.C., these circumstances do not define his power. The chief executive’s leverage in any situation is a function of constitutional/legal, institutional, political, and personal resources that can be applied toward the advancement of the president’s goals, taking into account the risks, obstacles, and opportunities presented by the situation. In some cases, the president’s leverage may be great, in others quite limited; but in all cases it is a result of how the power resources of the presidency can be applied in a specific set of circumstances. Seeing presidential power as situational leverage helps us to gain a more accurate understanding of the institution and those who have occupied it. It helps us to understand why, even in tough times, some presidents have been able to revive their political fortunes. It also helps to highlight the role that unilateral powers play in undergirding presidential efforts to persuade or even compel others to cooperate. RESPONSE: In our concluding chapter, we identify several area of future research. It would be helpful for scholars to further examine the components of presidential leverage that we identified. It would be helpful for additional research to explore the contextual factors that affect presidential decisions concerning when and how to employ power resources. It would be wise for presidency scholars to move beyond simply studying the roots of power and explore the exercise of that power. In particular, scholars should examine the ends to which presidents apply leverage. Be sure to check out the Cambria Press Desk Copy Plus Program for course adoptions whereby professors receive a FREE hardcover and students get FREE e-book access of the title when the library purchases the Platinum E-book edition!